Botox, facelifts, miraculous anti-ageing cream and hair loss pills, Viagra... These are our weapons of choice in our never-ending battle against the arrow of time and the tragic effects of its inescapable, slow-acting poison. It's all useless of course. We can fill our days with as much old people yoga and sudoku puzzles as we like, we'll still end up looking like an unmade bed who can't remember why it went to the bedroom. Not so Axolotls. They watch our efforts and smirk their childlike smirk. They with their silky smooth skin aglow, their sparkling eyes a-twinkle and their vibrant red gills aloft like lusciously hirsute tentacles. Not for them the wrinkling and the crinkling, the aching and the waking up in the middle of the night to use the bathroom. For them, life is a sea of unceasing youth. 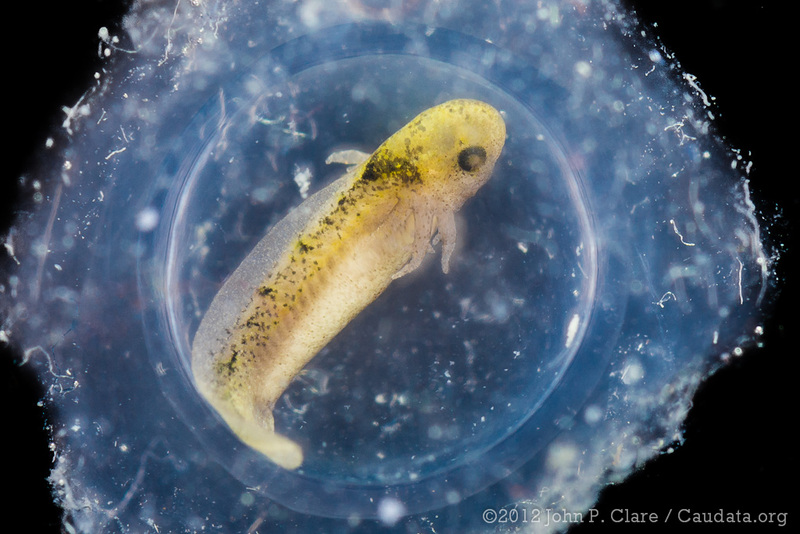 Axolotls start their life like many other amphibians: as a small punctuation mark surrounded in jelly. 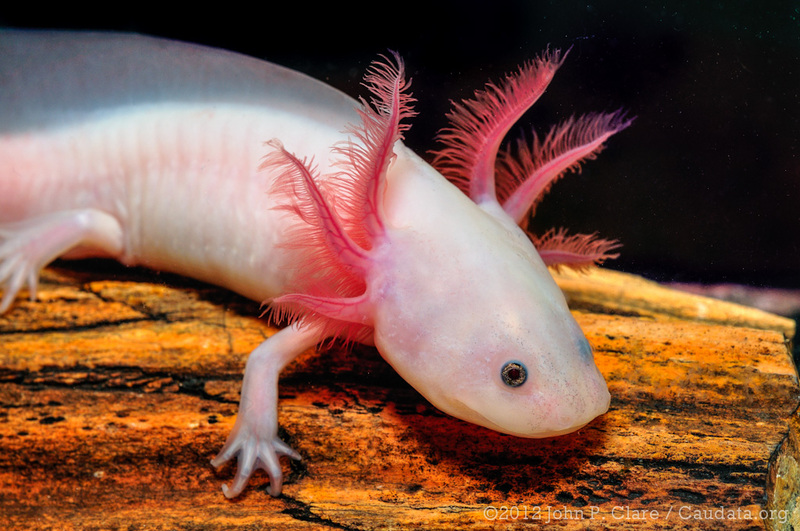 The embryonic Axolotl grows and develops eyes, a dorsal fin and six feathery gills. After 2 weeks, the egg hatches and a tiny Axolotl escapes into the world. It's baby steps for our little darling, and even that's not easy since he has no legs and looks just like a tadpole. 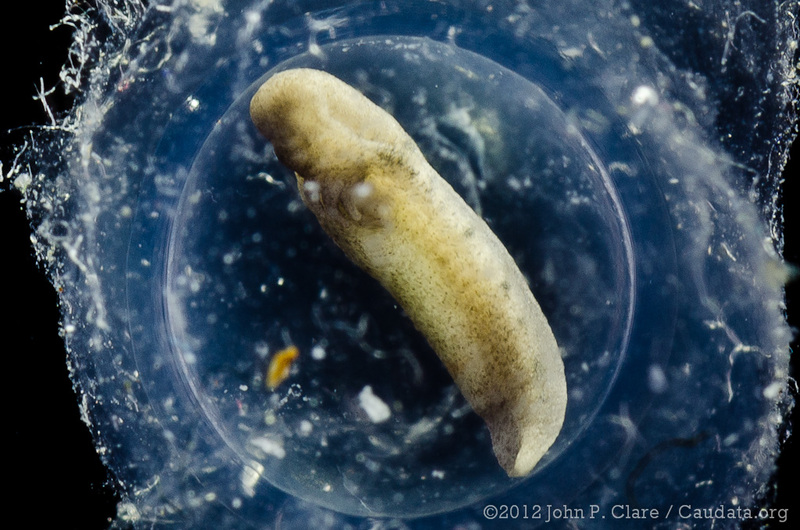 Still, he's only 1 cm (0.4 in) long at this point and he spends a further two weeks attached to aquatic plants. 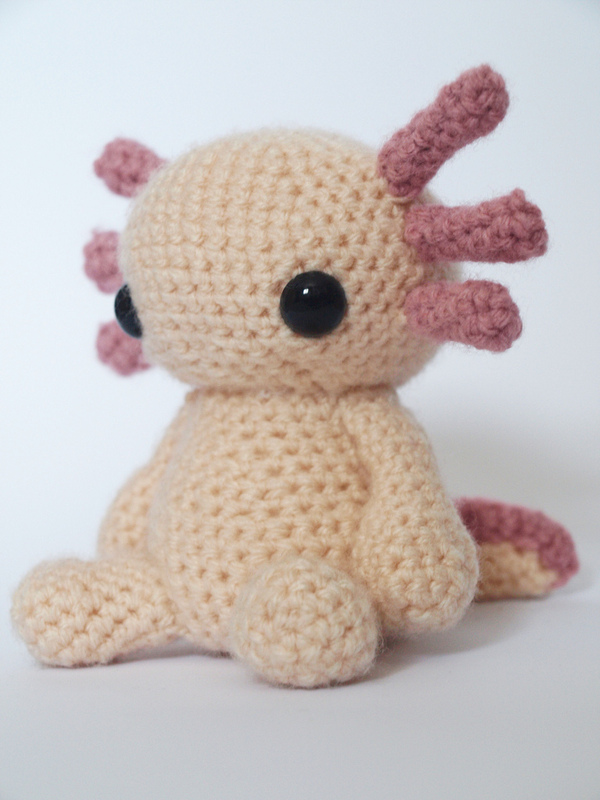 The Axolotl just keeps on growing. After about a year or two he reaches a maximum length of 30 cm (a foot). The one thing he doesn't do is metamorphose into an adult salamander. Axolotls retain childish, tadpole features like gills and their dorsal fin for the entirety of their lives. And that can add up to some 10 or 20 years. They even reach sexual maturity and reproduce while still looking like a gigantic baby. Which is something you probably shouldn't think about too much. 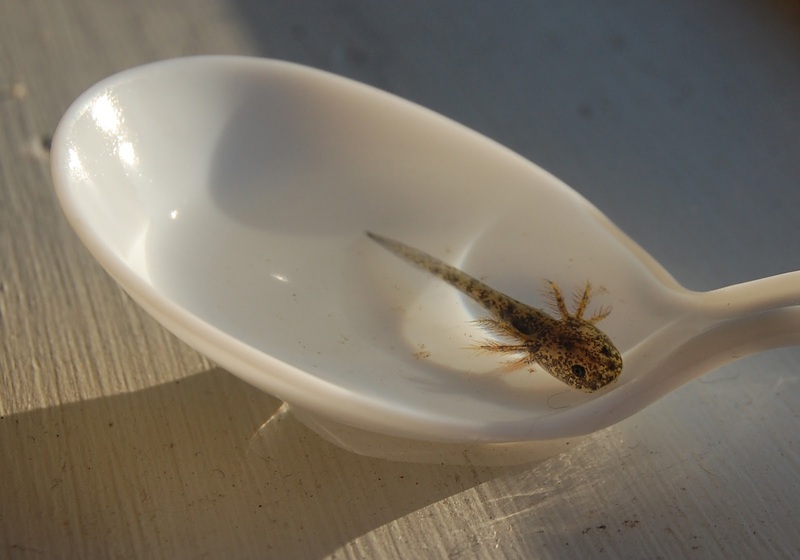 Axolotls can in fact grow up into proper, adult salamanders if they need to, they just require a better reason than the mere accumulation of years. 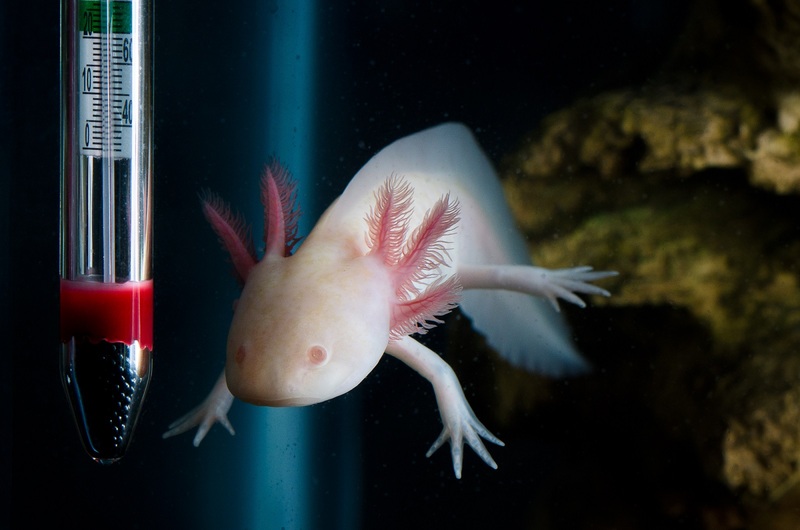 If the lakes of their native Mexico dry up, Axolotls can finally metamorphose so as to be better equipped to wander the land in search of a new aquatic home. By all accounts, it's an extremely stressful process which most Axolotls would much rather they never go through. And once they become an adult, there's no going back to the joys of larva-hood. It's that darn arrow of time again! The terrible thing is those Mexican lakes have in fact largely dried up. Or rather they've been drained to prevent flooding and make way for the enormous sprawl of Mexico City. And yet, despite all that, Axolotls are remarkably easy to keep at home! They can also be bred so that no-one has to take them from those fragile wild populations. All you need is a large tank or aquarium, about twice as long as the Axolotl, from some place like Swell Reptiles. Add some gravel, and make sure it's too large for a hungry Axolotl to swallow (we're dealing with overgrown children, remember), and a plant pot to hide in. Fill the tank with cool, dechlorinated water and a good filter and you're all set. Axolotls will eat all sorts of easily available meaty foods. For an extra-special treat you could show them your carefully worked out beauty routine. They'll laugh like only a child can laugh! bastards, indeed. so dang cute! You can't stay mad at them for long!